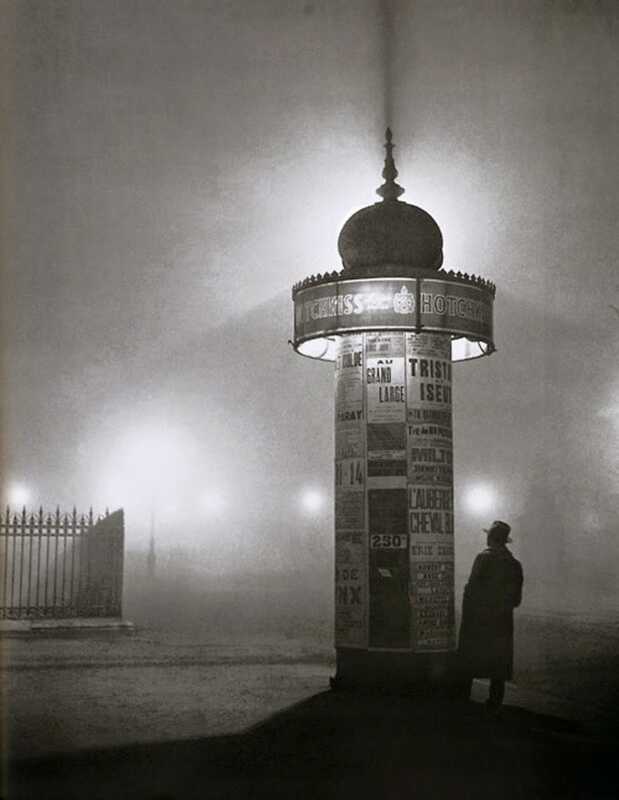 "A Morris column in the fog, Avenue de l'Observatoire, Paris, 1934. Photo by Brassaï." What a remarkable photograph.